Grand Challenge: The United States has about 125 Million households – twice as many as a few decades ago. Along with this growth, our use of electronics is also going through the roof – computers, cell phones, gaming systems along with our refrigerators and TVs. On the Iron Range, we have about 86,000 households, each in need of electricity. If our population keeps growing, and the amount of electricity keeps going up, the electrical generating companies won’t be able to keep up! - How can we generate more energy to meet our needs now and into the future or how can we reduce the energy we use? Identify a solution to our Electricity Grand Challenge facing us. Your innovation should focus on new ways to generate electricity or reduce electricity for your house. Present your idea/s (poster and model) at the Iron Range Earth Fest on April 21, 2018. Your ideas should follow the theme of “green” innovation - making the Earth, our community or the economy a better place. These may be developed and entered for competition by a single person or a pairing. All entries must be original, the sole work of the entrant(s) and should not be the work of someone else (including parents/guardians). All entries must have an entry form postmarked on/before April 7, 2018. Entry forms can be mailed or emailed (addresses are located on the bottom of the entry form). All entries must have an informational poster for the invention AND: A small-scale model of the invention, OR a prototype of the actual invention. All entries must be presented at the Iron Range Earth Fest (April 21, 2018) by the entrant(s) for judging. Judging will occur on Saturday, April 21 st from 10:00 AM to noon. If there is a scheduling conflict, the entrant(s) can opt to create index cards with one trivia question/answer on each card. These trivia cards must accompany the poster and replica/prototype. All entries (posters/models/replicas) must be picked up no later than 4:30 on April 21st at Merritt Elementary School. Doors will close at 5 PM. People’s Choice went to Eveleth Students for their Crayon Saver idea - $50. 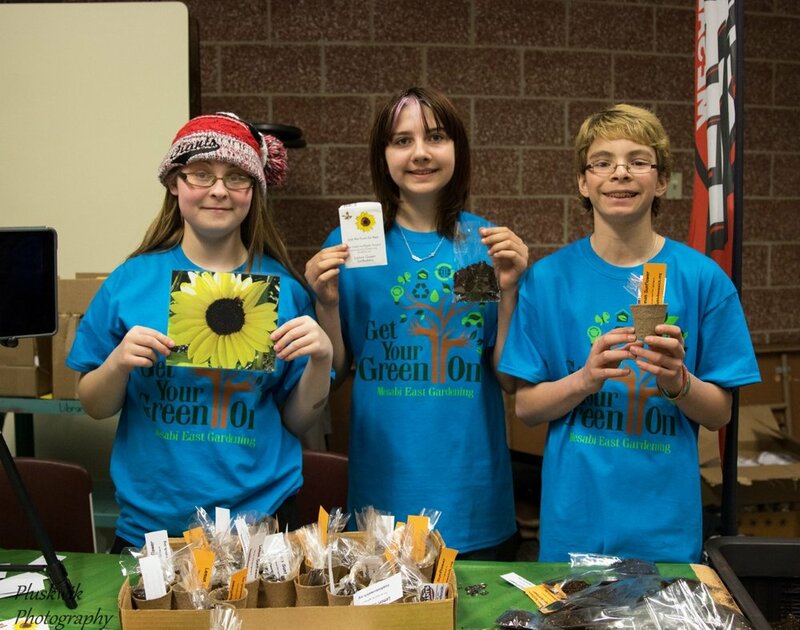 The Range Engineering Council and the Iron Range Partnership for Sustainability joined forces again this year to host the Green Innovator’s Expo for area students. 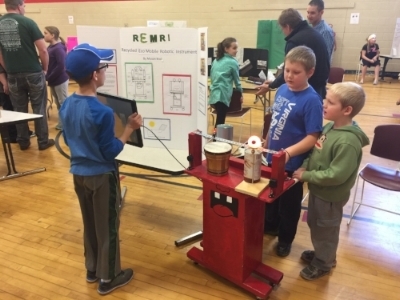 Over 250 students across many Range schools shared an Engineering Grand Challenge: Reduce our reliance on nonrenewable energy and make renewable energy a practical way of life. Over 20 Teams joined in the final show held at Merritt Elementary school during Earth Fest 2016. Contest judges were from the Range Engineering Council (Minnesota Power, Cliffs NR and a local science teacher). They were impressed with many of the great ideas and models, and found it difficult to select the top three innovations. Winners - The Cozy Chicken, The Dragon Light and the Solar Wind Turbine Car! Innovative and practical ways to keep chickens warm in the winter, light up parks at night and propel us into the future! Roosevelt Elementary had the most entries in the event and is being awarded $600 for their STEM activities. Eveleth-Gilbert took second and is receiving $400. Earth Fest 2015 was home to the first annual Green Innovator’s Expo, hosted by the Iron Range Partnership for Sustainability and the Range Engineering Council. 13 entries were submitted. Roosevelt Elementary School was named the 2015 Innovators of the Year, and they received $1000 of STEM (Science, Technology, Engineering & Math) equipment. The Green Innovator’s Expo winning project – the Jugverter 3000!